Vivo is an amazing smartphone brand, which provides plenty of exciting devices. These new smartphones are also loaded with AI-based technology, which is one of a kind. In April 2018, the brand launched another mobile phone in its ‘Y’ series, known as the Vivo Y71. With a significantly large screen size and affordable price, this Vivo mobile has become the talk of the town. The stylish look and high resolution of the Vivo Y71 make it look highly desirable. Also, there are many cool Vivo Y71 offers available in the market. This has increased the interest of the buyers as well. If you are confused and can’t make up your mind about buying Vivo Y71, then we might help you. This post covers all the specifications and features of the phone. So, buckle up people, and get ready for the Vivo Y71 specs ride. ● It has a 5-megapixel front camera and rear camera of 13-megapixels. Vivo Y71 offers some nice and innovative features in an affordable price range. You can find the major features of the phone below. Reading this part will also help you realize whether you should buy Vivo Y71 or not. The powerful 18:9 full view display, with a narrow bezel gives a screen-to-body ratio of 84.4%. This is the highlight of Vivo Y71 and quite similar to Vivo Y69, which takes the display size beyond limits. The device displays 12.5% more content, all the while maintaining the light and sleek look of the phone. If you buy the Vivo Y71, then you will get a decent camera quality to capture your life moments. You will receive a 5-megapixel front camera to click some beautiful selfies. On the other hand, a 13-megapixel rear camera is also provided to click some candid moments. However, features like the bright-light and backlight seriously redefine the overall camera experience. The Y71 has a large capacity battery specified at 3360mAh. Due to the advanced Android 8.1 OS, you can experience a power packed performance. 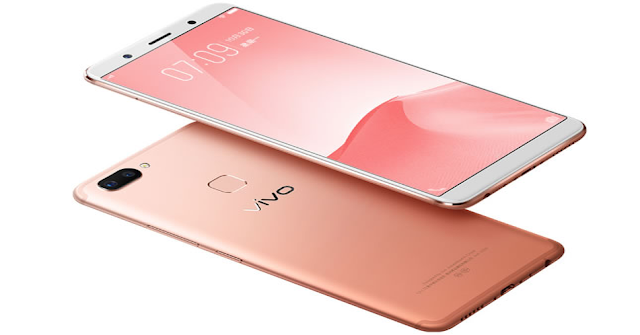 Moreover, this new Vivo device comes with a battery manager. This keeps your device running for an extended time period once fully charged. This smartphone will give you a 3GB RAM and powerful Qualcomm processor. With it, you can enjoy HD videos, play video games, and surf the internet. To give you a smooth experience, the Vivo Y71 performs defragmentation and memory optimisation tasks. Vivo Y71 offers a cool face recognition lock feature. By using AI (Artificial Intelligence) technology, the phone automatically unlocks after reading your facial features. All your private files will always stay safe as no one apart from you can ever unlock the phone. This phone has taken the AI technology to another level. It can also be seen in the camera feature of the Vivo Y71. The installed camera can identify your age, skin tone and gender. Once done, it then applies a range of beauty effects to highlight your natural charm. Moreover, the camera keeps a record of your selfie and photo. By doing that, it automatically offers you the filters which you use the most. If you like to click lots of images, then you should buy Vivo Y71. It is because the phone has a unique backlight and bright-light feature. We all know how difficult it is to adjust the backlight while we are trying to click pictures. Considering the factor, Vivo has installed these features, which sort out the same concern. The large screen of the Vivo Y71 offers a split screen feature as well. With this device, multitasking has become very easy. Now you can chat with your friends while watching videos, or you can check your emails while listening to music. If you use a smartphone for your official work, then this feature will be quite beneficial. We hope that after reading about the features of the Vivo Y71, you must be ready to buy this remarkable smartphone. If the price is becoming a significant obstacle, then we have a solution for you called the No Cost EMI facility. You can easily buy Vivo Y71 on No Cost EMIs without paying the full amount at once. You can simply divide the cost of the phone over a tenor, pay only monthly instalments without paying anything extra. Bajaj Finserv EMI Network offers you this fantastic alternative of purchasing the Vivo smartphone. It can be done through their partner stores, which are spread across 1300+ cities in India by swiping the EMI Network Card in over 60,000+ stores. You can even use this service by taking your KYC documents and a cancelled cheque to the store and submitting it. It can assist you to avail on-spot financing even when you don’t have an EMI Network Card. What’s more, you can even avail various financial facilities like personal loan, home loan and financing on products offered by Bajaj Finserv. To do so, you can submit your necessary details and check out the pre-approved loan offers created exclusively for you.